Gaming and marijuana go together and like peanut butter and jam (assuming you don’t have a nut allergy). This video merges the two perfectly. Gaming and marijuana go together and like peanut butter and jam (assuming you don’t have a nut allergy). But the connection doesn’t stop there. No, one man has reached into the back of his closet to find one of his old game systems. You may recall N64 (Nintendo 64) circa 1996-2001. Some of you reading this may not even have been born yet when N64 came out. Nonetheless, one man has found a way to bring back one his favorite past times and create an N64 pipe for his weed. In the video below Nick Stoner shows us how he creates his N64 pipe. First, Nick unscrews the controllers and rips out its guts, namely just the motherboard on the inside and any other component parts. No need to hang onto any of them, so you can throw them out. The only part to keep is the housing for the joystick as that is were your metal bowl will sit. Once you have take it all apart, Nick suggests heating up the plastic joystick housing and using scissors to widen the space for the metal bowl to sit properly. Glue the bowl and its new plastic housing back into place on the controller. MAKE PIZZA!! While you are waiting of your glue to dry, why not just make some delicious pizza? Once the glue has dried, attach some tinfoil on the inside of the bottom of the controller so that when you light up the bowl you aren’t melting the plastic on the bottom and inhaling toxins. 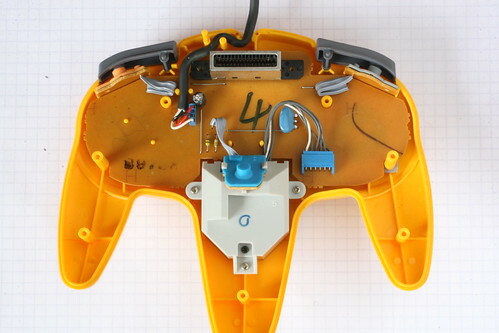 Reattach the controller and put your screw back in. Fill that memory card hole on the bottom with a memory card and voila! You now have a fancy new N64 weed pipe. Do you thnk your will make your own N64 weed pipe? Share your thoughts and videos with us on social media or in the comments below.